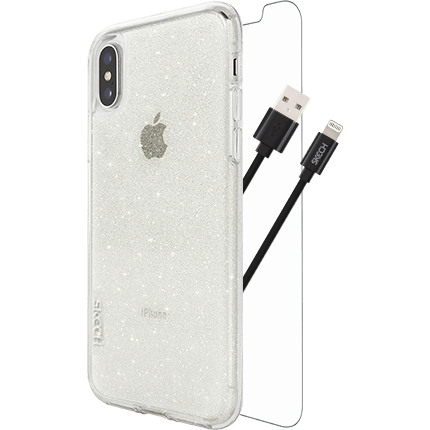 Grab everything you need for your iPhone Xs Max, in one go. Protect your phone from drops of up to two metres, with the shimmering Sparkle Matrix case. Keep your screen safe from cracks and scratches, with the tempered glass screen protector. And sync or charge your phone easily, with the Lightning cable.